Boysenberry growing plant of the genus Rubus also known as Boysen berry, it is a cross human hybrid between few Rubus species, Boysenberry perennial deciduous but in warmer climate can grow evergreen plant, grow as vine but can be design to shrub it has thorns, Boysenberry can grow in temperate, subtropical or mediterranean climate and growing in hardiness zone 6-10. 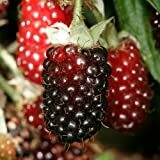 Fruit color brown black can be eaten when it’s red but its sour, fruit assembled from small cells that put together a round oval shape. When pick the boysenberry fruits the fruits stay with the torus. 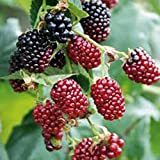 What can be done with big quantities of Boysenberry fruits?